Objective: To identify the causes and alarming signal of dengue-related deaths during the 2015- 2016 dengue outbreak in Muklalla -Yemen. 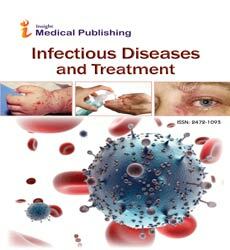 Settings and design: A prospective descriptive study was conducted in Ib-Sina Hospital-Mukalla-Yemen. Method: Deaths due to dengue fever were reviewed from hospital records. Demographic details, clinical features, laboratory findings, and the treatment charts of death cases were reviewed and documented. Comorbidities were also listed, and causes and warning signs were evaluated and highlighted. Data were analyzed using SPSS statistical software version 21 Results/Findings: Out of 424 dengue fever (DF) patients who admitted during outbreak period, 18 dengue-related deaths were reported (4.25%); 10 (55.6%) were male, and 8 (44.4%) were female. The mean age was 28.11 years. Most cases from Fuwwah and Mukalla city (50%). The diagnosis at the time of presentation was severe dengue (SD) in all patients. Three (15.9%) patients had comorbidity. Dengue shock, fulminant hepatitis, encephalitis and acute respiratory distress syndrome were the most common causes of death. Nausea, vomiting, abdominal pain, hypotension, altered mental status, convulsion, leukocytosis, rapid fall in platelet and elevated liver enzymes were alarming signals of fatal dengue. Conclusion: Dengue-related deaths often occurs in young adult patients and shock state was the most common cause principally in females. Among died patients, raised hematocrit were not useful in identifying patients with plasma leakage. The causes and alarm signals for death were somewhat similar to other regional studies mostly in Asian countries.